We’ve known for a while now that China has a roadmap to implement a ‘social credit system’ for its citizens in 2020: the plan is to score people based on their interactions and infractions with public and private institutions, such as breaking traffic rules, and spreading misinformation online. 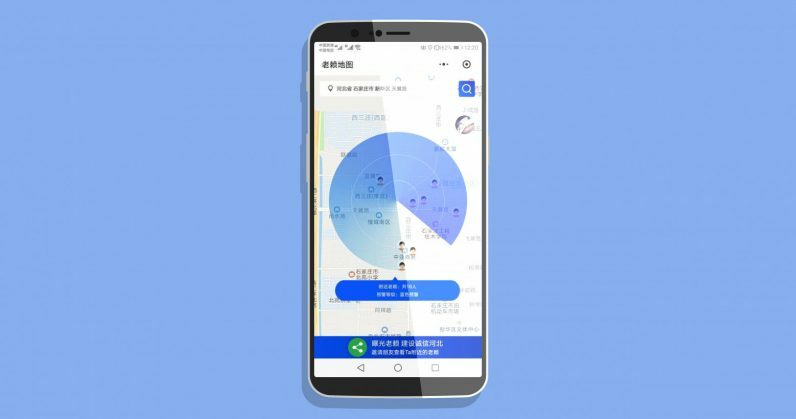 This week, China Daily reported that North China’s Hebei province is putting that idea into practice in a small, but potentially damaging way: it’s highlighting debtors around you on a map displayed in a mini-app on the immensely popular WeChat platform, in an effort to shame people who haven’t cleared their dues. Xinhua News Agency previously reported back in October 2017 that the Chinese government’s had plans to put a ‘deadbeat shaming’ system in place. It’s alarming to learn that it’s actually being implemented. The introduction of this mini-app sounds like a dangerous step towards China establishing an Orwellian society that looks to determine citizens‘ ‘trustworthiness’ through such measures. The social credit score that’s planned for next year will see people with low rankings (Vox has an explainer on the scoring system) gain or be denied access to certain services, including air travel. It’s also worth noting that, according to Jamie Horsley, writing for Foreign Policy, the social credit system doesn’t yet pose as big a threat to Chinese citizens’ privacy and well-being as many reports have illustrated, and that the Black Mirror-ish nature of such a program is being played up well beyond how it’s actually being implemented in different parts of the country. What’s worrying is that, if China were to implement a full-fledged social scoring system, it would begin to play out a whole lot like what we’re seeing right now.